Want dinner ready when you walk in the door? 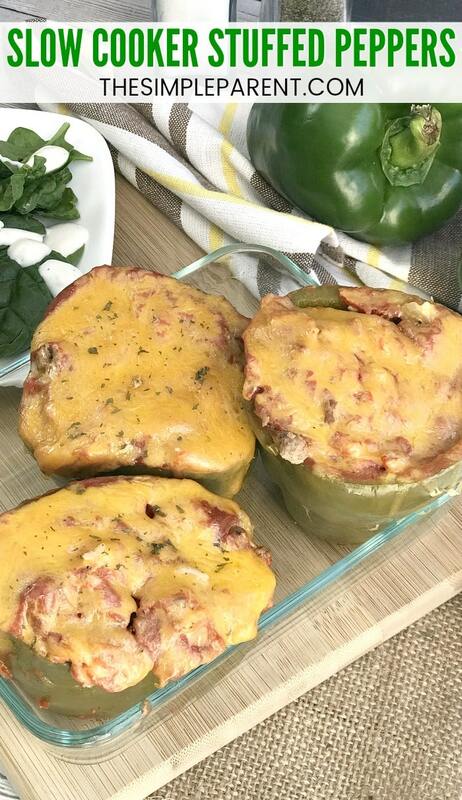 Try the easiest Crockpot Stuffed Peppers with uncooked rice recipe. 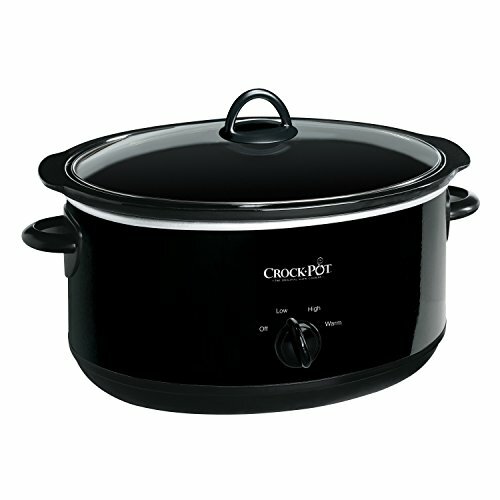 During the cold weather season, my slow cooker Crock Pot is my hero when it comes to easy dinner ideas. I love being able to do a little prep work then throw everything in the slow cooker and go about the rest of our day. 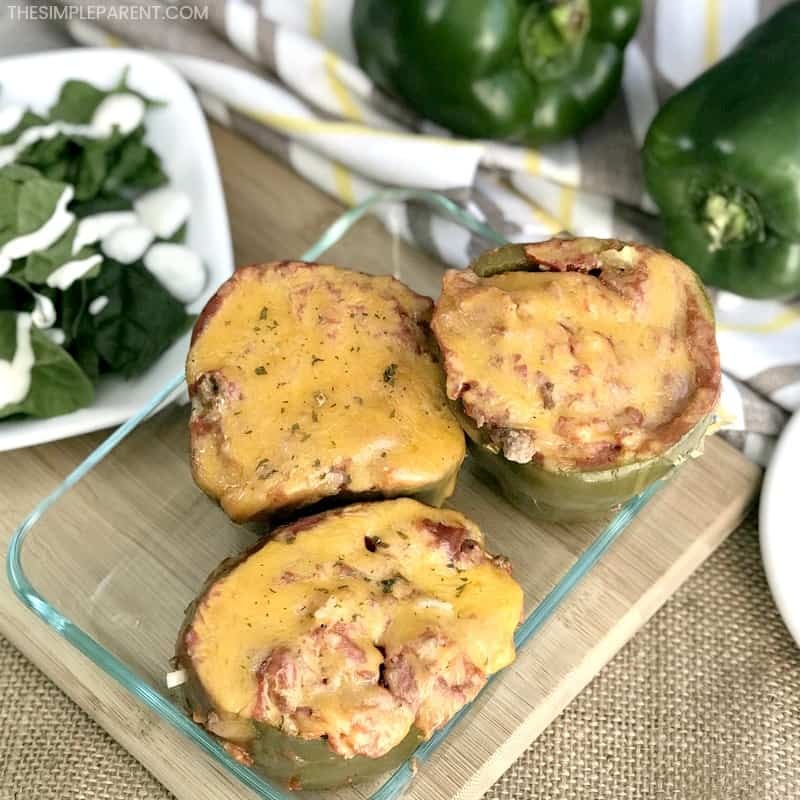 We love stuffed peppers in our house and this Crockpot Stuffed Peppers with Uncooked Rice recipe is the easiest because of the rice aspect! Depending on the amount of time you have, you will have a rice decision to make! 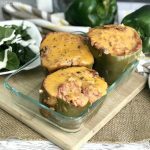 If you’ve ever made a stuffed bell peppers recipe, a lot of them ask you to cook the peppers beforehand but that’s the part you don’t have to worry about with this recipe. 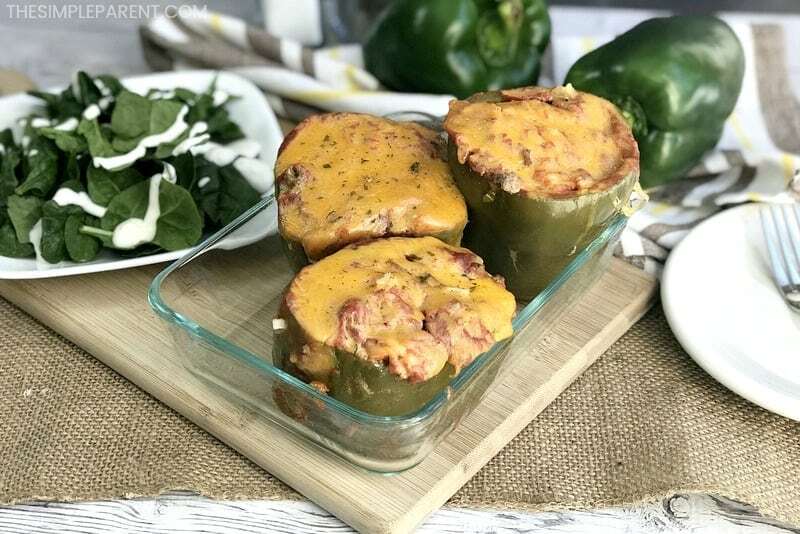 If you don’t have a Crock Pot yet (or you’re needing a new one like I did recently), there are a few different things to consider if you’re buying to make stuffed peppers in slow cooker. Depending on how many peppers you’re going to be making each time, you may need a smaller or larger slow cooker. I find that a 4-quart Crock Pot works well for about four stuffed peppers. There are two ways to make these Stuffed Peppers with Ground Beef. Depending on how much time you have to cook your peppers in the slow cooker, you may or may not have to do a little bit of prep work before you put the peppers in the Crock Pot. The Crockpot Stuffed Peppers with Uncooked Rice prep is my favorite but you do need a bit more cook time. I’ll give you both stuffed green peppers slow cooker preps. They both use the same ingredients so it’s really just all about time! This version of the recipe uses cooked rice which means you don’t need as much cooking time in the slow cooker. Brown the ground beef, onion and garlic over medium heat. Once thoroughly cooked, drain and return to the pan. Combine the rice with the ground beef. Slice the tops off of each green pepper and scoop out the insides. Be sure to get rid of all the seeds! 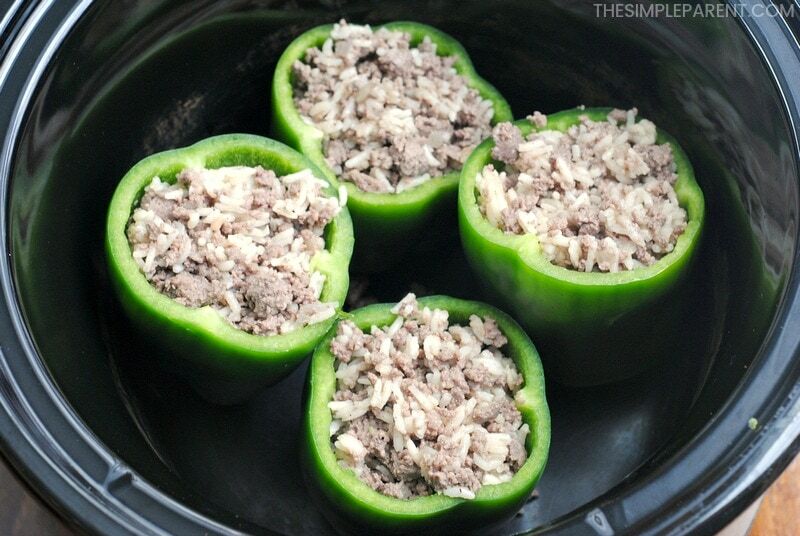 Fill each pepper with ground beef and rice mixture. Pour the tomato sauce over the top of the stuffed peppers. Cover and cook on LOW for 3-4 hours (or until tender). About 15-20 minutes prior to removing from the slow cooker, sprinkle with shredded cheddar cheese and cover again. Combine the cooked white rice with the ground beef. Cook the white rice according to the directions on the package. 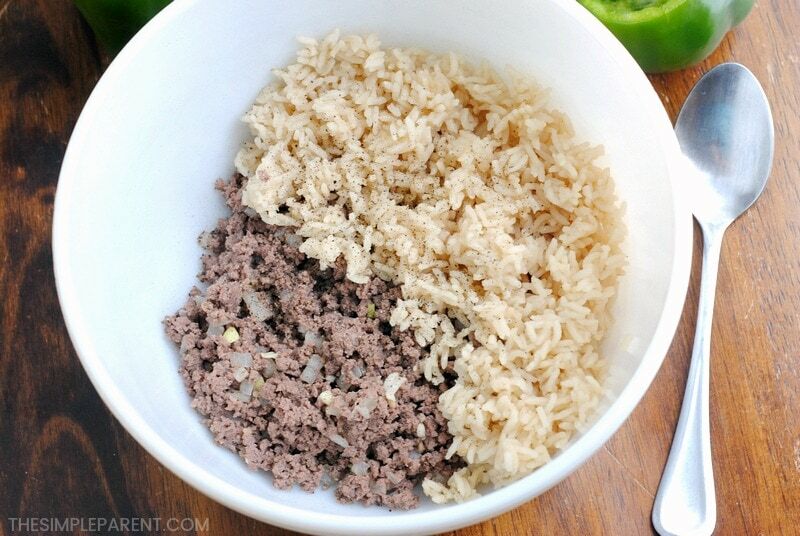 In a large bowl, mix the ground beef, onion, cooked rice, garlic, salt, and pepper until well blended. Slice the tops of each bell pepper and clean out all of the seeds. Stuff the peppers with the rice and ground beef mixture. Place the peppers in the slow cooker and pour the tomato sauce over the top of the stuffed green peppers. Cover and cook on LOW for 6-8 hours or until the ground beef is completely cooked and the bell peppers are tender. Sprinkle with shredded cheese 15-20 minutes before you take the peppers out of the slow cooker. 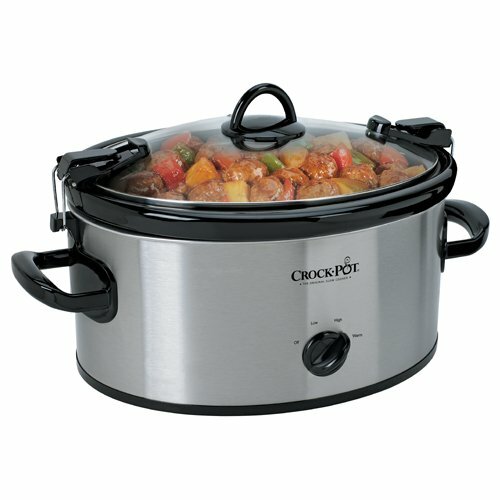 This version of the recipe doesn’t require you to brown the beef or onions before you put everything in the Crock Pot. 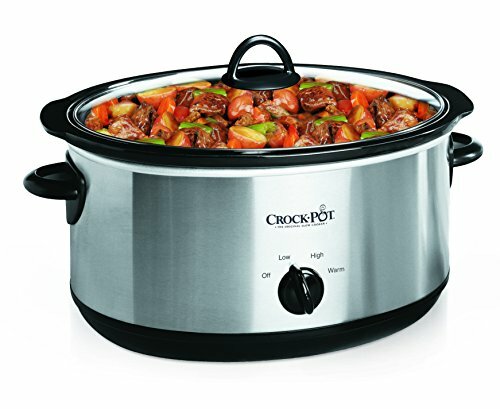 It means you need more cooking time in the slow cooker but if you’re going to be gone all day, it’s perfect for coming home to dinner being ready! Either way, you make these peppers, you’ll have a delicious main dish. Pair with a salad or even some crusty bread and butter for an easy meal! You’ll spend less time cooking and more time enjoying dinner with your family! 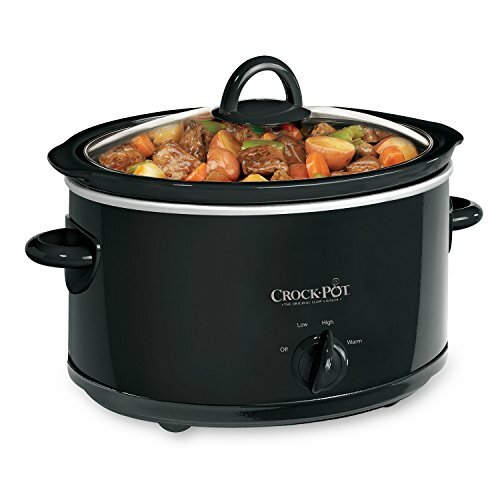 For more easy meal ideas, check out all of our slow cooker recipes! You can also try this tasty Slow Cooker Cilantro Lime Chicken recipe that’s perfect to come home to! I am confused your recipe is for Stuffed Peppers with un cooked Rice. but both recopies call for cooking the rice. So my question is do I have to cook the Rice before I stuff the peppers? Connie, thank you for pointing that out! In this Slow Cooker recipe you do NOT need to cook the rice. That is the whole point! In my other recipes for peppers I do cook the rice, but not this one! I will update it now!